From now on, Saturday September 18th will be known as one of the most fun days I've had in a long time. Saturday morning I grabbed my overnight bag, picked up Elina, and headed to Central Square to meet up with Megan, Michelle, Kristen, Kerstin, and Meghan for a beautiful drive up to Vermont. 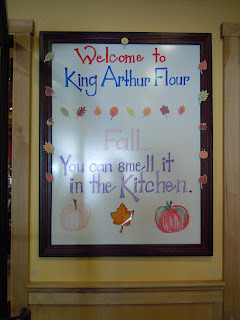 Our destination: King Arthur Flour. Once we arrived we met up with Jen, Katie and Bridget. Allison, a representative from King Arthur, ushered us into the baker's store, and upstairs to an office and conference room where we were served lunch. Sandwiches and delicious fruit salad for the weary travelers. 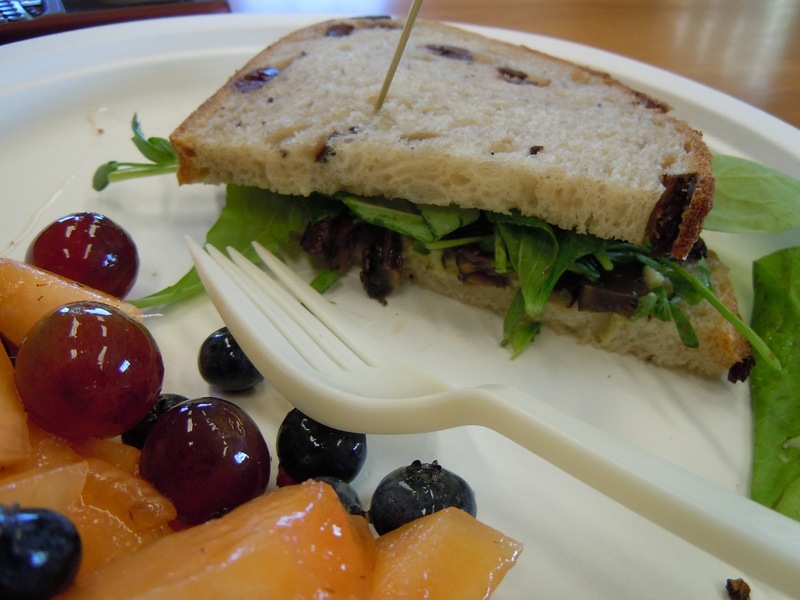 I fixed myself a plate with half a sandwich and some fruit salad. 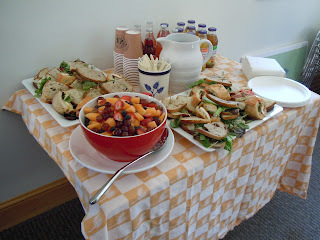 The sandwich was a roasted mushroom and arugula on olive loaf. I wondered if I should get a second helping, but I am so glad that I did not. There would be much eating that day. 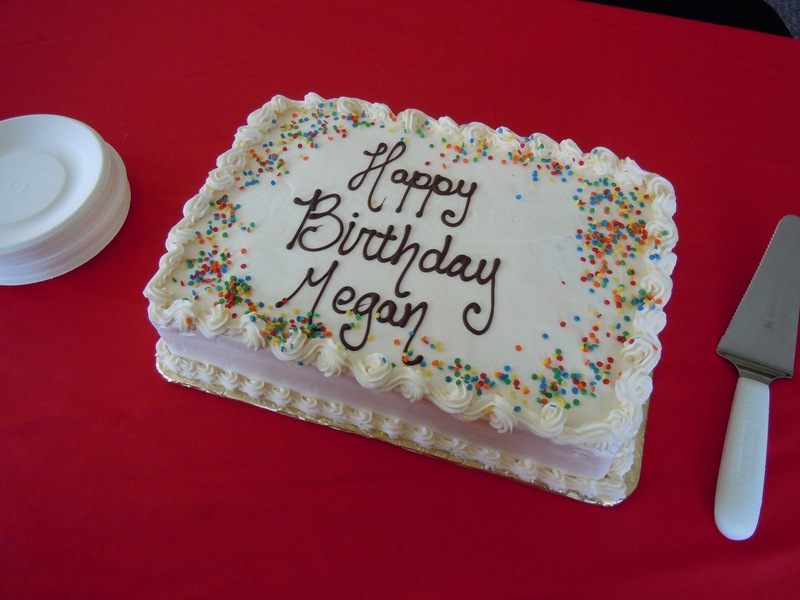 Megan did an amazing job planning the whole day, and her birthday was just a few days before our trip. I wanted to make sure she knew how appreciative we all were for her efforts, so I called King Arthur a few days before to let them in on the fact that she was celebrating a birthday. I figured they might do a little something to commemorate the day - but I never imagined this! 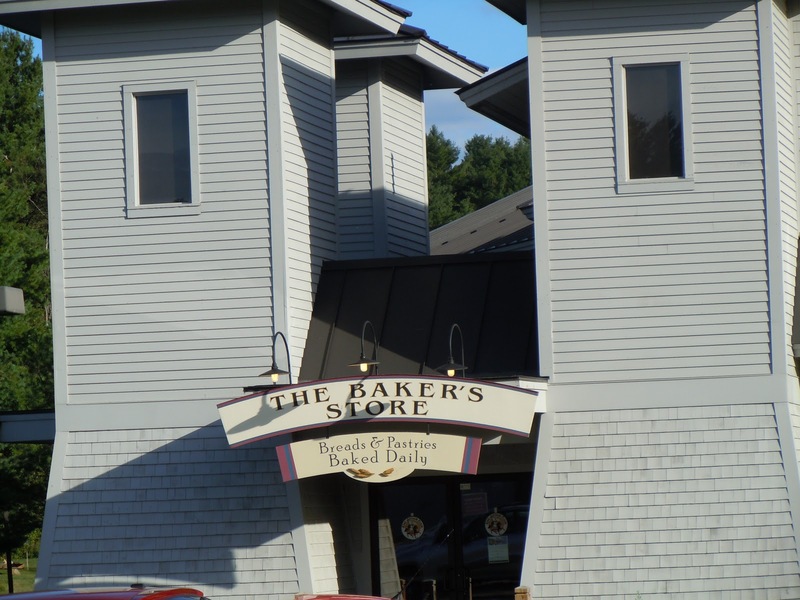 They baked a HUGE and DELICIOUS birthday cake in their bakery. 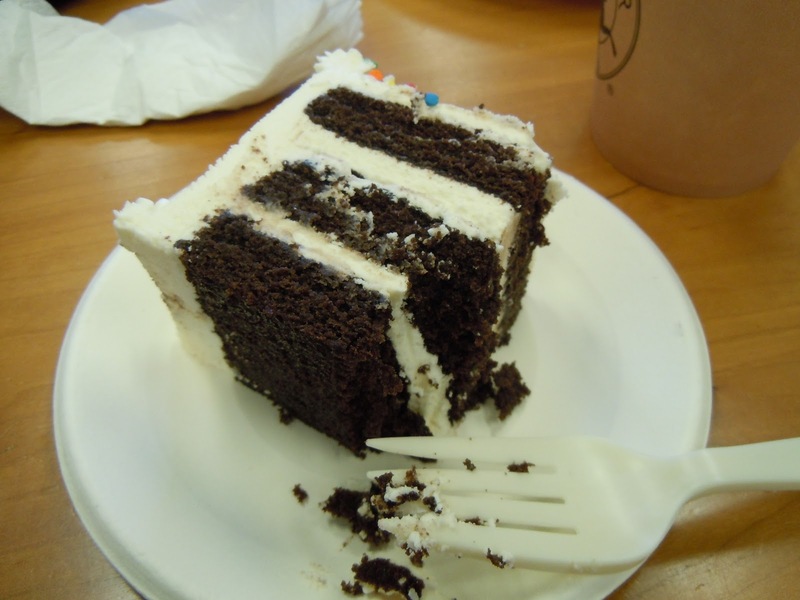 Pictured here with a bite taken out, because I just cannot control myself with baked goods! First of all - I know I'm probably not the only one who didn't realize this, so I'll take one for the team and own up to it. I honestly did not realize that they were an American company. I think it must have been the King in the name....? I don't know. But the company is American, based in Norwich, VT and is the country's oldest flour company to boot, founded in 1790. They are an independent company, owned by the people who work for them. 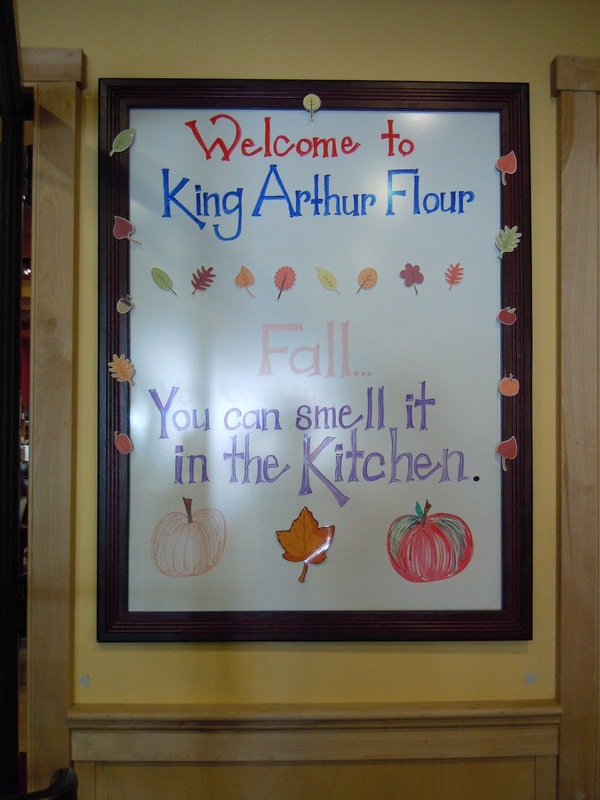 Everyone that I met from King Arthur takes a lot of pride in their company, their work, and their brand. And it comes through in the quality of their products. September 18th was such a fun day! 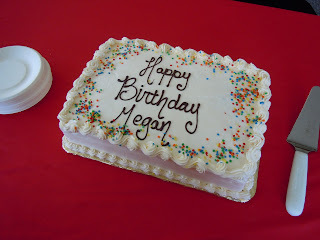 Yay for Megan for planning such an awesome day! the most fun day in a long time is RIGHT! Thank you for my birthday cake! Such a surprise! I love that everyone's still recapping. I get to relive that day over and over! Best day in a long time for sure! Next Food Blog Star - Ready, Set, Blog!